With heavy bolection mouldings to one side and smaller mouldings the other, this handsome door is fully morticed and tenoned. 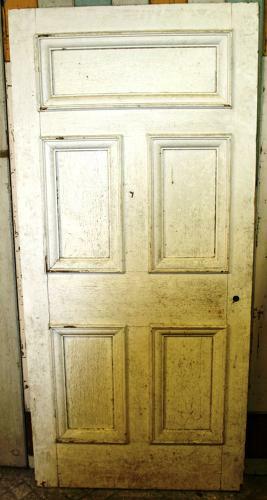 We can quote to strip the door and also could glaze 1 or 3 of the top panels. Please contact us for a quote.